Did you know that exercise is a critical factor that influences your pet’s health? Puppies, seniors, and adult dogs of all ages require safe daily exercise. But the exercise needs of each animal vary based on numerous factors, including age, size, breed, and weight. So, exactly how much exercise does a puppy need? What about a full-grown dog? When exercising your dog, you need to make sure that you are doing so in a safe manner. Some activities that are safe for one dog may not be as safe for another based on their health, age or mobility. In this article, we will discuss how to help make sure that your dog is getting the right amount of safe exercise each day. Puppies have very different needs than adult dogs. Puppies are going to spend a majority of their days sleeping simply because growing into a full-sized dog is pretty exhausting work. However, exercise is extremely important for puppies. Exercise benefits your puppy’s physical and mental health, introduces new stimuli, provides opportunities for learning and can become a great source of quality bonding time with your pet. The first things to consider when thinking about your puppy’s exercise needs are their age and breed. The older the pup, the more they can handle, but that doesn’t mean that you should take your six-month-old pup on a 45-minute jog. As a general rule of thumb, start slow and ramp up to longer, more intense forms of exercise. Start with a short slow paced walk or round of fetch and work up to more strenuous activities, such as longer walks, brisk walks, jogging or swimming. When exercising a puppy pay special attention to their paws. Rough, hot, wet, and treated surfaces, such as salted pavement can do a real number of softer puppy paws and may cause sensitivity, blisters or even sores. If your dog is limping it is a sure sign that you pushed them too far and may indicate that your dog is possibly suffering from sore or damaged paws, dehydration, over exertion, muscle fatigue, strains, sprains or other injuries such as embedded glass, wires, or wood splinters. A puppy’s breed also has a lot to do with the amount of exercise they need. High-energy sporting, herding, hound and working dog breeds will likely be able to tolerate and require more exercise than lower-energy toy and non-sporting breeds. The exercise needs of mixed breed dogs and mutts vary, but these dogs often tend to require more exercise and stimulation than their parent breeds due to heterozygote advantage or hybrid vigor. Along with breed considerations, you should think about the size of the puppy. Large breed puppies are at higher risk for joint damage and orthopedic disease if they get too much exercise as puppies. Smaller puppies may struggle exercising over extended distances, regardless of wether their size is due to their breed or age, tiny legs are tiny legs. Keep that in mind when contemplating walking and jogging routes. In reality, there is no “right” answer for how much exercise a puppy needs. We recommend short bursts of exercise for puppies. A young puppy should have five minutes of exercise or more every few hours. Puppies need at least three sessions of exercise per day. Try to keep exercise sessions below 15 minutes. Watch your pup during these sessions and stop when they start to show signs of fatigue. How you provide this exercise can be a complicated topic as well. Safely exercising a puppy is a little more challenging than with an adult dog. Depending on the age of your pup, they might not be properly leashed trained yet, which means that they could tug at the leash or get tangled up and hurt themselves. Plus, long walks or jogs aren’t recommended for puppies. It may be best to go for short, slow walks or to get exercise by leash training your pup in the house. If your puppy can handle being on the leash, keep walks under 15 minutes and avoid strenuous terrain. Walks aren’t the only means of exercise for puppies, however. You can get your puppy a lot of exercise by playing with toys or wrestling around for a little bit. Instead of going for a walk, you can play a couple of rounds of tug of war or fetch—even if your pup hasn’t learned how to properly fetch just yet. You might be surprised how much energy a young dog can spend with a little solo ball play. While you might not think of training sessions as exercise, training classes or private training sessions tend to take a lot out of puppies. Obedience training provides both mental and physical stimulation, which is important for a puppy as they are developing. 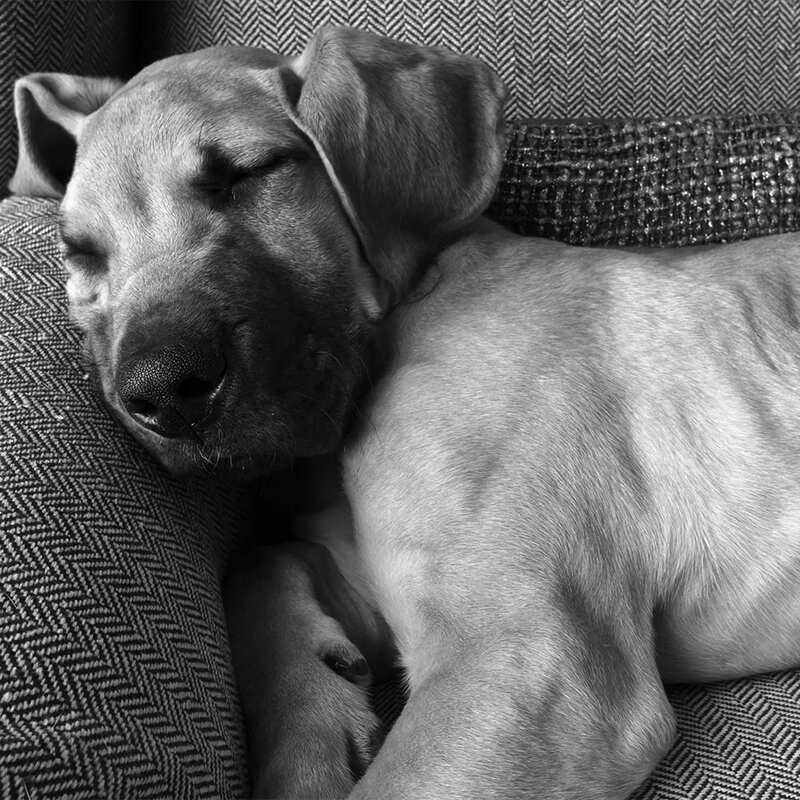 Even a 30-minute training session is going to wear your pup out. This type of activity can be easily added to the exercise regimen for a puppy and can go a long way towards improving communication between you and your new pet. It is very important to never force exercise on a puppy. Tired puppies need to rest. Plus, some puppies play with toys by themselves and may get more exercise than you realize throughout the day. Remember, a young puppy’s legs are only a few inches long and they have yet to fully develop their muscles, and those tiny wobbly steps mean that even just getting around the house is going to require a good bit of energy. For adult dogs, activity levels are determined by a number of different factors. Perhaps the most important factor in how much exercise a dog needs is their breed. While some high-energy dog breeds and require up to two hours of vigorous activity per day, other breeds may require as little as only 30 minutes of average activity each day. A little research into your breed’s exercise needs can be incredibly beneficial to ensuring your dog gets the right amount of exercise each day. Adult dogs have a lot more options than puppies when it comes to safe exercise. For instance, most dog parks and doggy daycare facilities don’t accept puppies because they are more likely to get sick or injured. This means that once your dog has reached adulthood, you can provide your dog with more types of exercise. The socialization aspect of these activities is also very important for dogs, which makes dog parks and daycare centers valuable to your pet. 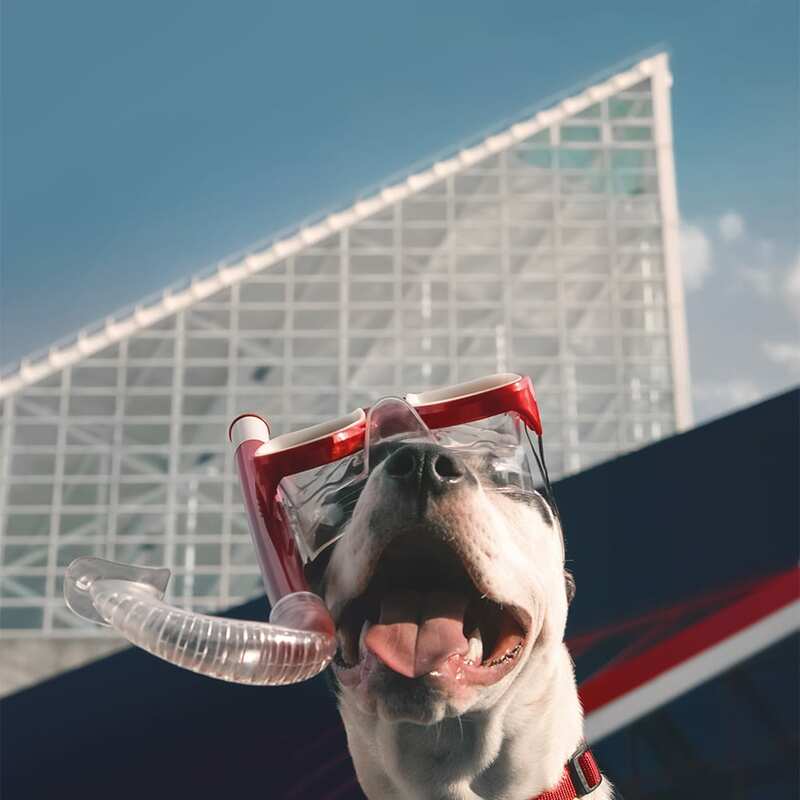 Swimming, running, biking, skateboarding, and hiking are all fun activities that you can do with your pooch. You should always keep in mind breed considerations when selecting an activity for your dog, however. For example, hiking and running are not suitable activities for brachycephalic (short snouted) dog breeds, because they often don’t have the ability to breathe well enough for such intense activities. Small breeds might not be able to keep up with their owner during biking and running sessions. Swimming is a great source of exercise for dogs that is often overlooked by many urban and suburban dog owners. Many dogs, especially thicker coated sporting and working breeds, such as Chesapeake Bay Retrievers, Golden Retrievers, Labrador Retrievers, Newfoundlands, Standard Poodles, Irish Water Spaniels, and Nova Scotia Duck Tolling Retrievers – absolutely love swimming. Swimming can be a lot of fun, but it’s important to keep the weather in mind. Don’t take your pooch swimming when it is cold outside unless there is an indoor pool available for use and absolutely never allow your dog to be near any body of water if there are signs of lighting or thunder. Some lakes, rivers and oceans have designated dog swimming areas, but not every place is dog-friendly, so be sure to check out the rules before bringing your dog. It is not unusual for dogs that hate bathes and rainy walks to suddenly love swimming. If your dog is not great off leash or if you live in an area with mandatory leash laws you may want to consider visiting a body of water that is fenced off or restricted, as longer leashes and runs may pose a tripping or drowning hazard. While it goes without saying that owners should always monitor their dogs while outside, this is especially true when exercising near or in water. Is it safe for dogs to swim in pools? Absolutely. Never force your dog to swim and never allow them to swim unattended. But otherwise if it is safe for you to swim in a pool then it is likely safe for your dog. Just be sure your pool can be easily exited by your dog, as most dogs will not be able to use a ladder or pull themselves up from the edge of the pool. Live in a city or somewhere without access to natural bodies of water, such as lakes or ponds? Many public and community pools open their doors to dogs for a day at the end of pool season. These doggy swimming days are the perfect opportunity for your pooch to socialize and get exercise, but never force your dog to get in the water if they are scared or don’t want to swim. Odds are if your dog is ready to swim you’ll have a more difficult time getting them out of the water than in. Dogs often enjoy a lot of the same activities as puppies do, however, so don’t shy away from a good game of tug of war or fetch just because you have more options now. Walks are also great for adult dogs. If you don’t have time, you can always hire a dog walker to get your dog out and about for about 30 minutes. For dog owners looking for more focused play or time intensive hobbies that include their dog, may want to consider more structured or competitive activities. There are many dog centric sport, each fitting for different breeds, temperaments and physical capabilities. Pet owners with water loving dogs may want to consider giving dock jumping a shot. Dog jumping is exactly what it sounds like. It is an event where a dog runs down a dock and jumps off into the water after a throw toy. Dock jumping canines can compete in a number of different events including high jump, long jump, Speed Retrieve™, timed jumps and Big Air®. Agility training can be a great way to physically and mentally exercise smarter super high energy hunting, herding, and terrier breeds such as Australian Shepherd, American Fox Hounds, Border Collies, Grey Hounds, and Jack Russell Terriers. 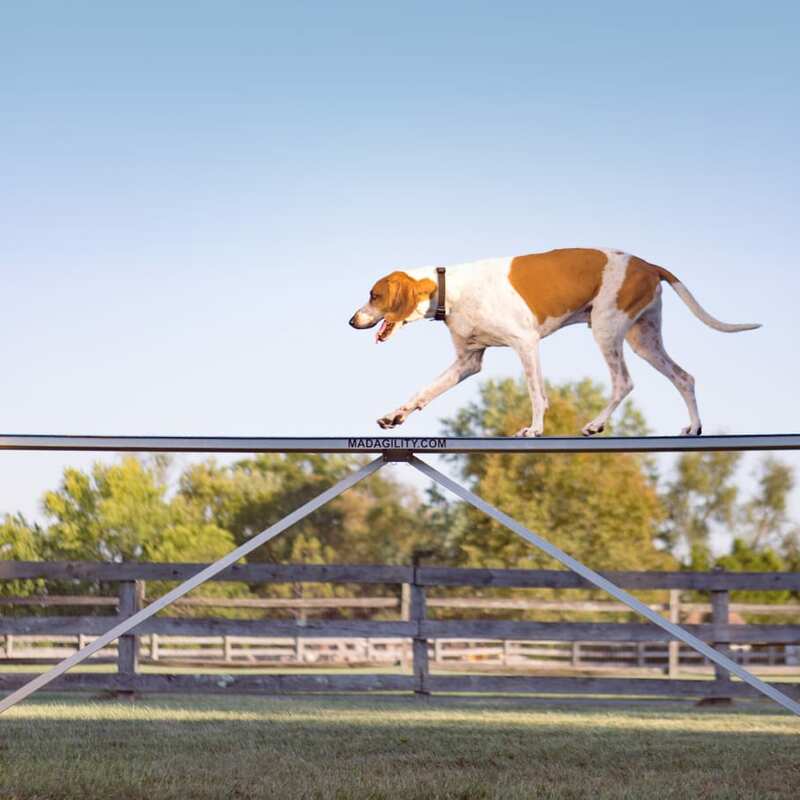 During these events participating dogs run an obstacle course, navigating weave poles, tunnels, tire jumps, teeter boards and pause tables. Dogs are renown for their sniffers and have been used to track people, wild game, explosives and drugs around the world. While some breeds are better known as trackers than others (Bloodhounds, Beagles, Dutch Shepherds, and Pointers – we’re looking at you) virtually any dog with a nose and enough training can be trained to track scents. While scent tracking is most commonly associated with professional services such as airport security, missing persons search crews and drug task forces, it’s not uncommon for dog owners with less than effective sniffers to train their dogs to search just for fun either with a formal search club or at home by themselves. Usually when we think about dogs pulling, we’re talking about leash training and how to prevent it. But when approached properly, working with your dog’s instincts to pull rather than fighting them, can be very beneficial to the health of your dog. Many working breeds, large terriers, sled breeds and other natural pullers often enjoy weight pulling and when harnessed properly can be an excellent source of safe exercise. At the end of the day it doesn’t really matter what kind of exercise your dog is getting as long as it is safe and sufficiently stimulating them physically and mentally. Safe exercise for dogs is critical for both their mental and physical health. A dog that doesn’t get enough exercise may start to exhibit symptoms of anxiety or depression and may become destructive or act out with other unwanted behaviors. Curb these behaviors with daily physical activity and solidify your bond with your pooch during these activities. 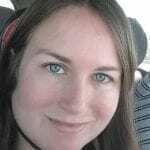 This article was contributed by Coral Drake the creator of DevotedToDog.com. Coral has been living with foster and rescue dogs their entire adult life. They have worked as a manager of a dog daycare and as a liaison at the University of Florida Small Animal Hospital. This article was written by a guest contributor and has been edited for content and clarity. The advice and opinions of guest contributors do not necessarily reflect those of the Puptrait Studio. All photos are property of the Puptrait Studio. All rights reserved.